Science and technology have many roles in supporting defence capability but none is more important than researching novel ideas and initiating projects that meet critical national security requirements. The Nulka active missile decoy program is a project that typifies this role. From its initial concept developed by Australia's DSTO in the early 1970s, Nulka became the state-of-the-art ship protection system now deployed on more than 150 Australian, United States and Canadian warships. Nulka has been Australia's largest regular defence export and in 2010, the delivery of the 1000th Nulka round was celebrated. The total investment in Nulka by the three navies to date is around $1 billion. The early involvement of industry, together with partnerships between Australia and the U.S. were the crucial ingredients for this project to lead to full production. 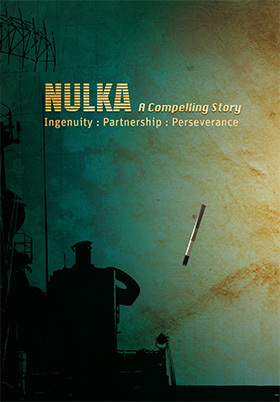 This publication covers the timeline chart for the Nulka Program from the beginning to completion of the Full Scale Engineering Development phase from the early 1970s through to its production and introduction into service in 2001.